The customer had a vertical drum which contained multiple phases – vapor, hydrocarbon, an emulsion phase, and water. There were both high and low level nucleonic level indicators installed on the vessel, the problem was that simultaneous high and low level alarms were being indicated. 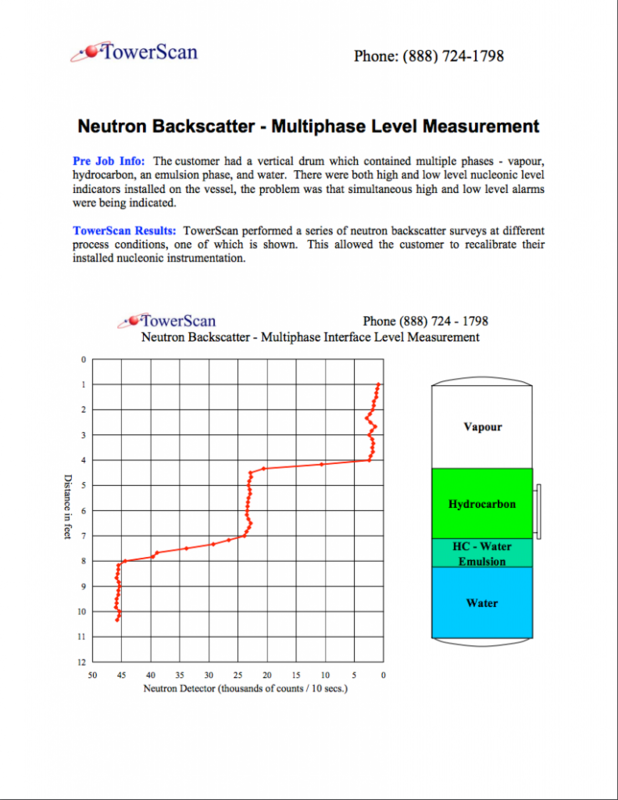 TowerScan performed a series of neutron backscatter surveys at different process conditions, one of which is shown. This allowed the customer to recalibrate their installed nucleonic instrumentation.